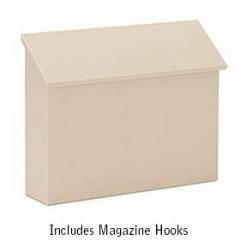 Standard Horizontal Wall Mount Mailboxes | Mailbox Collections, etc. 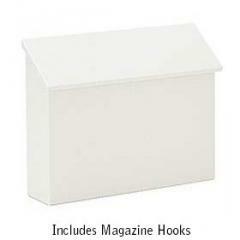 Wall Mount Mailboxes - Mailbox Collections presents our traditional line of standard horizontal wall mount mailboxes. 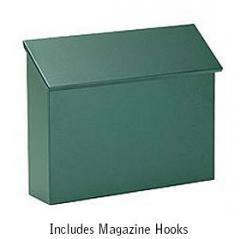 Our traditional wall mount mailboxes are made of electro-galvanized 20 gauge steel handcrafted and are powder coated in four different colors - Black, Beige, Forest Green and White. Our horizontal wall mount mailbox includes 5" detachable magazine racks. Factory installed stainless steel locking security kits with two (2) keys are available. Our traditional wall mount mailboxes may be used for U.S.P.S. residential door mail delivery. International Customers please contact us for shipping cost.